As the Month of February aka The Love Month comes to an end I Honor the Sweethearts in my Life. My Grandparents William and Eva Palmer who were married for around 50 years and my parents Edward & Mable Palmer who were married for 40 years. Come to Me in My Dreams and tell me of Paradise! Are Aunt Helen Garcia and Aunt Thelma still as talkative as they were on earth? It must be great that you get to see Aunt Helen James, Aunt Gladys, Uncle Clarence, Uncle Willie, Cousin Linda, Cousin Bertie, Grandma Hattie Finney. Tell them how much I miss them. Tell them my world has not been the same since they ascended to God. Are the streets really paved with gold? Are there 12 Gates to the City? And What of Jesus and the Angels? Oh How I long to be reunited with you once more! No more pain. No more sorrow. No more hurt. To Leave the cares of this cruel world behind! I know that I’m just passing through onto a better, richer more rewarding Life. But one day I too shall take my seat at the Welcome Table! What a Great Day that Shall be! There is never a day that goes by that I don’t think of you! I’ll See You in My Dreams! Super Sibling! Awesome AweTism Guy Stephen Palmer! Check out the Video featuring Stephen! Using his Super Powers of Autism Stephen is one of the Major Guardians of Wakanda! Super Sibling! Awesome AweTism Guy Stephen Palmer!! HAPPY 59TH BIRTHDAY TO ME! 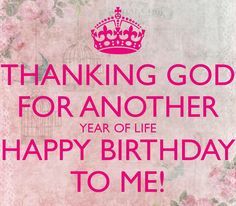 #1 First and Foremost I want to Thank My Lord and Savior Jesus Christ for allowing me to see another year! Praise God! I owe any success in my life to the Lord! Strange Magic and Strange Sight by Syd Moore. What was your first adult job? Can’t remember. Maybe it was as an Avon Lady or a Youth program that the City of New York had for teenagers. Probably not really an adult job as my parents supported me and when I got bored I quit. Actually I would just go with the U.S. Army. In the Army you definitely have adult responsibilities and NO you cannot quit. Honey Nut Cheerios or Oatmeal. I eat the Cheerios dry since I cannot drink milk. I make my Oatmeal with water as dairy tears up my stomach. I also like Farina or Cream of Wheat.